The chilly run known as the “Iditarod” stretches more than 1000 miles between Anchorage and Nome, Alaska. Known as “mushers,” Iditarod competitors are seasoned athletes that from all over the world. 1. The Iditarod is just over 40 years old. The race started in 1973 to save dog sled culture. 3. Mushers guide their sled dogs with spoken commands rather than with the reins. 4. The dogs are required to wear dog boots to protect their paws from the ice and snow. 5. Each team has 12-16 dogs. There’s a “lead dog” who the other dogs follow. 6. The race takes approximately two weeks to complete. 7. Sled dogs need and love to run. Without several hours of running daily, these dogs become restless and self-destructive. 8. 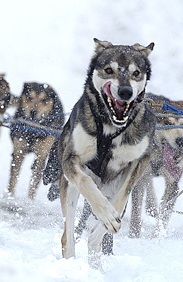 Mushers are required to take at least two eight-hour breaks and one 24-hour break during the race. During these breaks, the sled dogs are examined by veterinarians. 10. Mushers have their own lingo, for example, “Dog in a basket” means one of the dogs is resting on the sled rather than running. The traditional race kickoff is March 1. While the familiar blue-eyed husky is one of the primary breeds who run, malamutes and several other Alaskan breeds make up the dog sledding teams too. Hundreds of volunteers staff the Iditarod trail at the various checkpoints. They help with first aid, restocking the sleds and caring for the tired humans and dogs. Eagle Pack is proud to provide food for many sled dog teams including Aliy Zirkle’s team, Alan Moore’s team and Martin Buser’s team. 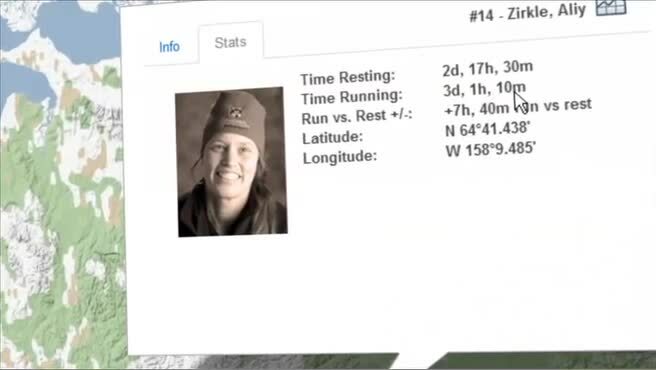 To learn more about Aliy Zirkle and Alan Moore (husband and wife), check out their blog: http://spkenneldoglog.blogspot.com/p/aliy-zirkle.html.